I did it. I splurged and for the first time, I bought my own designer handbag and I'm in love - just look at the shape, the colour, the luxury! 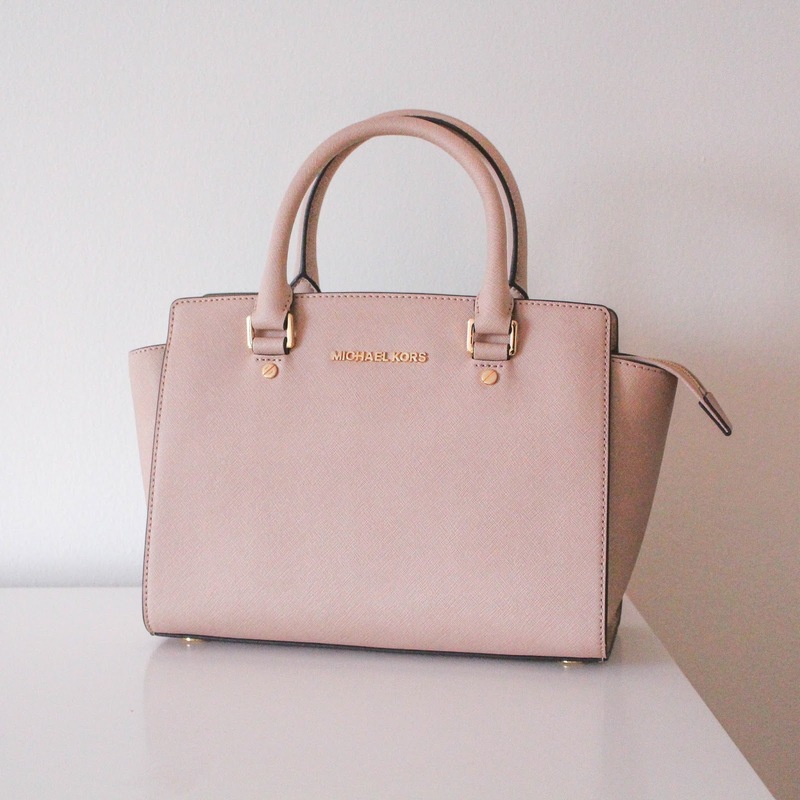 For long time designer handbag buyers, a Michael Kors bag is probably nothing special but for someone like me who has never splurged on very much at all, it's kind of a big deal. 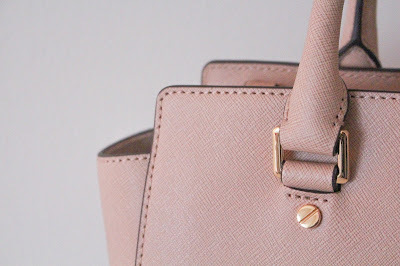 I love a designer handbag and Karl bought me my first Michael Kors bag for my birthday last year and I loved it so much it gave me the "designer handbag bug", which I'm sure most of us bloggers have had for a long time! 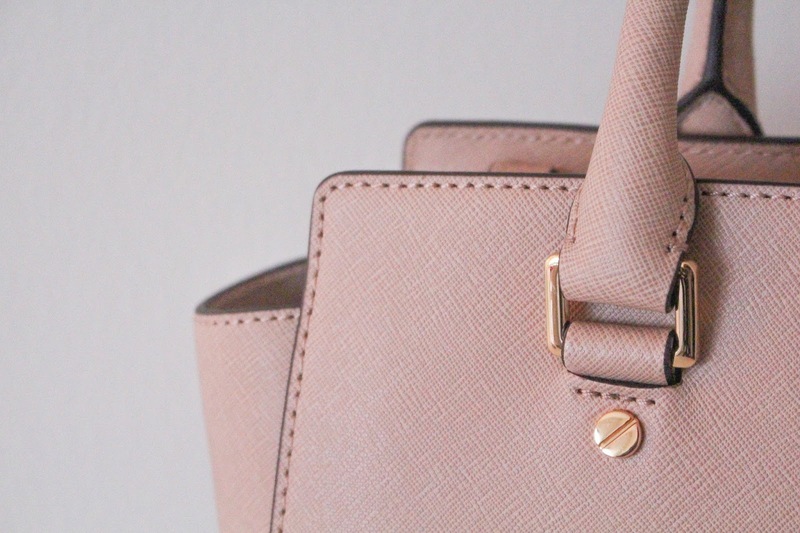 There's something about a luxury handbag that makes you feel like a million dollars and they can instantly add that bit of something to any outfit, which is why I decided I needed a bigger, more everyday style bag as an alternative to my tiny MK travel bag. wardrobe. It's the perfect size to use everyday and to fit all of the unnecessary crap in that I seem to carry around with me everywhere. It's also a beautiful, neutral colour with the gold Michael Kors embossment on the front, keeping it simple and chic to match any outfit. I'll admit, I'm not usually one to splurge and I'm always really careful with my money but sometimes I think it's worth it, especially when you know it's on something you're going to use forever. Also, I felt like I needed a post-Christmas, mid-dissertation treat to keep myself going through January and let's be honest, we all deserve a treat! Next on my wishlist is this cherry Michael Kors Selma Bag. I mean, look how beautiful the colour is! Have you splurged on anything recently? Love it! What a gorgeous colour! I agree that (when budget allows obviously) sometimes saving and splurging is well worth it over buying several cheaper items. This will definitely enhance any outfit! This is such a beautiful bag and the colour is just gorgeous. It's definitely a worthy splurge! It's such a pretty, classic bag! Definitely a worthwhile splurge! Gorgeous bag! I have a few MK's and they're so worth it for the quality and price! Enjoy it babe! This is absolutely beautiful! I love the muted pink colour in comparison to the more generic colours like black. Such a gorgeous bag. My dream bag is the Givenchy Antigona and if I wasn't a student I'd definitely be splurging! It is absolutely stunning! I've never owned a designer bag but I'm growing more desperate for one! The bags, absolutely stunning, I've been lusting after the same one but in silver but I am now saving most of my money not used for bills so that won't be happening for a while. Yours looks like it will be perfect every day. Ohh^ so pretty bag! Amazing color! That is so beautiful! I've never splurged on anything like it, but I hope to in the future! 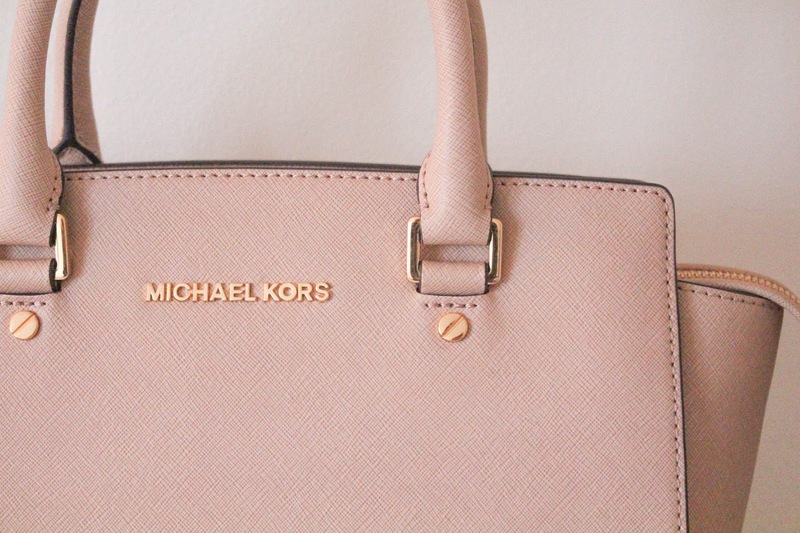 I definitely love the Michael Kors bags, especially this style. I really love the style.Wanna have a try myself. The colour of the bag is stunning! Wonderful bag. I like it, Thanks for sharing.